A not so unknown characteristic of my personality is that I have some very unpopular opinions. WARNING: if you love typically British tv shows, film franchises or follow anything very avidly that is fantasy you may become enraged and confused. 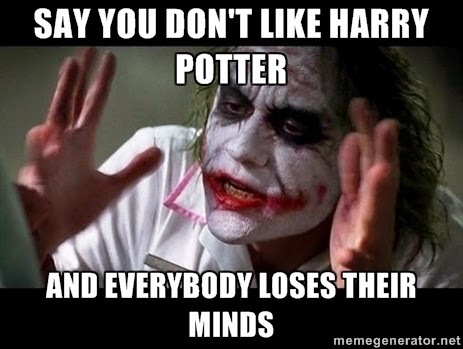 I have never finished a Harry Potter Book, and I never will. As to why I'm not sure, I may be the only person in the world who is not remotely interested in the story. My one attempt reading the first book, finished swiftly in 2005 after I read the first few pages and not being gripped. I understand that lots of books are slow starters, but I did not sympathise with this notion when I was 8 years old. I love reading, but nothing has ever encouraged me to start reading them, despite the fact that I've seen some of the films, these have not given me much hope. If my first unpopular opinion has already confused you, the second may make you tear up. 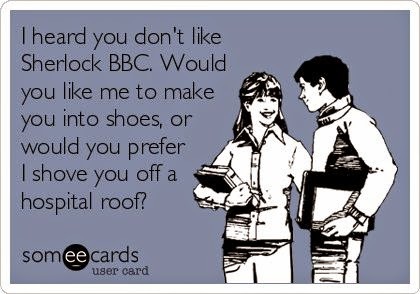 I'm not much a fan of Sherlock. I've given it a go, watched the episode in which he makes his grand return after the mystery of his death. I just found the episode was so dragged out and over the top. With almost no focus on any particular mystery to investigate, more on how wonderful and clever Sherlock is, I didn't find the episode got interesting until around 25 minutes before the end. I'm not the biggest fan of Benedict Cumberbatch, more of Martin Freeman because he appears so much more accessible and relatable. I love detective shows, but this offering for me is much too over the top, my favourite being Elementary with Jonny Lee Miller and Lucy Liu. Less glamorous but the story lines are so inventive and very quick paced. 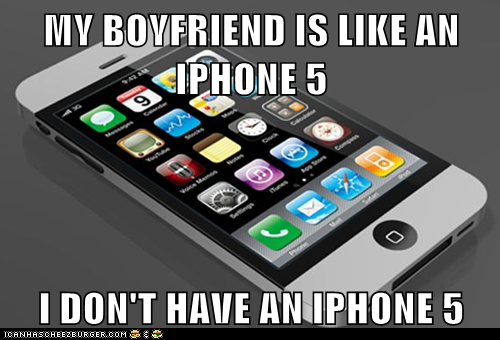 I have never had or wanted an iPhone. Yes I have some very typical young adult tendencies, like constantly being attached to my phone, but this for some reason does not happen to come from Apple. I'm a true loyalist to Windows phones, they're pretty, reliable and much more affordable than iPhones! The only Apple product I have ever owned and continue to own is my iPod Touch, the cute little square one. No fuss, no apps just all the iTunes features to listen to music. Whilst the range of apps from the Windows store isn't as wide as Android or the Apple store, they develop some quality dupes that I often use instead of the original Snapchat, Vine and Instagram.